One of America's staple food groups and nearly obligatory on American menus, there is no shortage of good burgers in San Francisco, with old favorites sticking it out and new contenders popping up all over town. 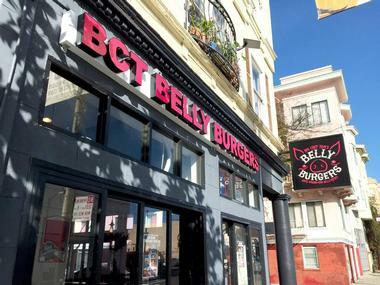 The eclectic vibrancy of San Francisco is reflected in its food, and the city's burger joints add unique twists to the traditional burger while keeping its classic style, with chefs playing off contemporary burger idioms from the backyard burger to the steakhouse burger. 4505 Burgers & BBQ is an artisanal meat market serving gourmet burgers, hot dogs, cheeses, and other specialty foods. Perfected over the years by chef and butcher Ryan Farr, the 4505 burgers are the stars on the menu, alongside some very solid BBQ. Made with well-seasoned and well-sauced quality grass-fed beef and served on a house-made buttery sesame and scallion bun, the Best Damn Cheeseburger is layered with lettuce, onion, and Gruyere cheese, with the option of added bacon or egg. Another signature favorite is the off-menu Big Mac, which features two cheesy beef burger patties sandwiched around their fried mac-and-cheese patty with hot dog bits inside. Promising burgers like "you've never had them before," Big Chef Tom's Belly Burgers draw inspiration and gourmet ingredients from around the world to create unrivaled burgers that can be ordered off the menu or created from scratch. Using 100% ground pork belly patties grilled over an open fire, served on toasted, buttered buns, and trussed up in true American style with an array of mouthwatering toppings, Big Chef Tom's Belly Burgers are like no other. Signature burgers include the Hog Heaven, which has a choice of pork belly, chicken, crispy chicken, or veggie patty smothered with garlic mayo and stacked with house-cured bacon, grilled Swiss cheese, and sweet pickled jalapeños. The Firecracker is not for the faint-hearted, with a choice of pork belly, chicken, crispy chicken, or veggie patty with pepper jack cheese, lemon serrano jam, and cabbage slaw, which adds a fiery kick. A Marina newcomer, Causwells has caused a stir with its upscale version of an In-N-Out burger featuring double patties, Thousand Island dressing-like sauce, oozing American cheese, and golden, crispy onions. Boasting stained concrete floors and a quartzite bar, this European-inspired neighborhood bistro serves up American cuisine with a shareable menu focusing on local and seasonal ingredients – think lacto-fermented pickles and warm griddled buns – along with a selective wine list and a variety of local craft beers. Other signature items on the menu include starters of deviled eggs, hush puppies, and harissa steamed mussels, with delicious homemade cornbread on the side. Roam Artisan Burgers is a casual, counter-order eatery that offers lunch and dinner in a relaxed, eco-conscious, and family-friendly setting. Committed to using only sustainable meats, produce, and other high-quality ingredients that have been locally sourced, Roam Artisan Burgers features a pasture-to-plate menu of delicious burgers, salads, sides, shakes, and sodas crafted from fresh, quality ingredients. Burger patties are made with 100% grass-fed beef, free-range turkey, all-natural bison, and organic vegetables served on soft, fresh rolls or buns and topped with a selection of heavenly fillings, such as nitrate-free applewood-smoked bacon and house-made pickles. 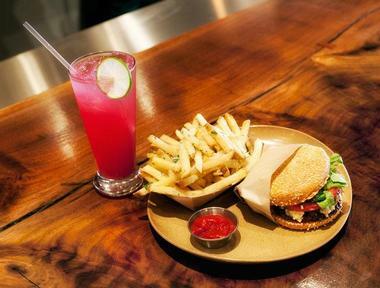 Crispy fries are cooked in rice bran oil and drinks include house-made sodas made with low-glycemic agave nectar, organic milkshakes, locally produced kombucha, brews, and wine on tap. 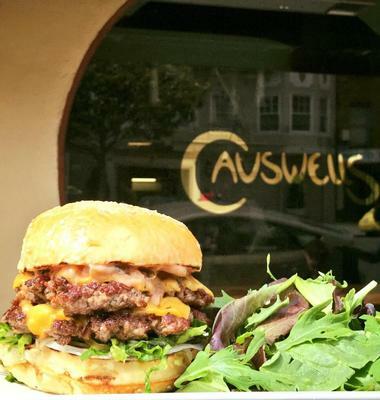 The team behind Causewell's burgers brings Popson's Burgers to the city. The burger-focused semi-permanent pop-up is located in the former Marlowe Burger location and specializes in recreating the Shake Shack-style, all-American cheeseburger with a thin, beefy, delicious patty and standard toppings such as American cheese, special sauce, onions, and lettuce. Served on a fresh bun with seasoned fries and offered with a variety of meat options, including the classic cheeseburger alongside chili and bacon-blue variations, Popson's burgers are a welcome addition to the mid-Market burger game. 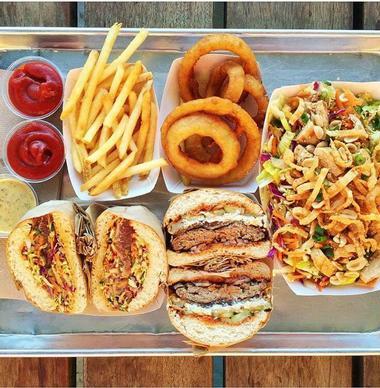 A tried-and-true local favorite, Gott's Roadside serves a variety of made-to-order American roadside favorite California classics, including juicy cheeseburgers, great hot dogs, chunky onion rings, and thick, hand-spun shakes. Located in the Ferry Building, Gott's uses fresh, locally sourced ingredients to create both classic and modern takes on the traditional American burger, such as the double cheeseburger with American cheese, pickles, and secret sauce, and the Western Bacon Blue Ring topped with bacon, blue cheese, pickles, red onion, and big onion rings. Sip California-centric wines and beers, such as the high-end Napa Valley Cabernet Sauvignon or the San Francisco-brewed Anchor Steam beer. 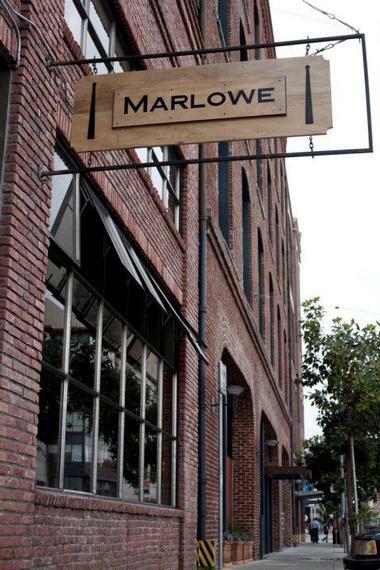 San Francisco's best burger cannot be discussed without mentioning the Marlowe Burger, which is why all three restaurants in the Marlowe group, including The Cavalier and Park Tavern, have adopted this chef and diner favorite. This famous burger features a thick and juicy Niman Ranch patty, 20% of which is of lamb, stacked with crispy bacon and cheddar cheese, slathered with horseradish aioli, and topped off with fresh shredded lettuce. Begin the feast with a fresh taste of Brussels sprout chips or go for a meaty bowl of roasted bone marrow before digging into what is regularly hailed as the best burger in San Francisco. 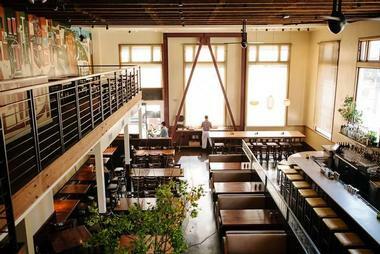 Set over two floors in Divisadero Street, North of the Panhandle, Nopa is an ingredient-focused Californian eatery that serves classic American fare and creative cocktails in a lively, vibrant setting. A staunch advocate of sustainable dining, Nopa uses fresh, locally sourced ingredients and have their own beehives on the rooftop of their restaurant. A signature item on the menu is the Wood Grilled Burger, which features a formidable grass-fed patty grilled over an open wood fire, topped with house-pickled onions, homemade ketchup, and served with crispy, golden fries. A good gathering spot for late night drinks – the kitchen keeps cooking and the bar keeps the drinks flowing until 1:00 am. Pearl's Deluxe Burgers is a no-frills, counter-service burger joint serving classic American burgers of all sorts with a variety of patties from buffalo and beef to turkey and vegetarian. Open from Monday through Sunday for lunch and dinner, Pearl's menu features deluxe burgers with regular toppings such as bacon and cheese, the signature Bula Burger with bacon, Swiss cheese, spicy pineapple, and teriyaki sauce, as well as a variety of specialty burgers – think Kobe beef and blue cheese – sandwiches, freshly made salads, and sides. 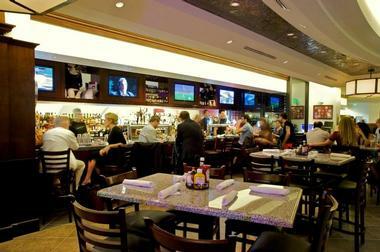 Drinks include fountain sodas, bottled drinks, beer on tap, and a selection of easy-drinking wines. Barney's Gourmet Hamburgers is a family-friendly burger chain that has been serving delicious burgers and other all-American fare since 1978 and now has locations all over the city, the East Bay, and Greater Los Angeles. The popular eatery serves gourmet burgers, salads, sandwiches, fries, and milkshakes, but is best known for its hearty and never-disappointing burgers, which sate even the toughest critics. Using only the freshest locally sourced ingredients, burgers are made with high-quality Niman Ranch beef, freshly baked buns, and delicious toppings such as smoked bacon, Swiss cheese, caramelized onions, chunky pickles, and more. 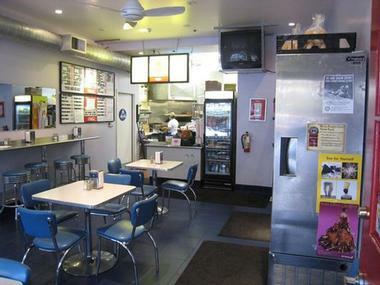 Barney's Gourmet Hamburgers has two locations in Oakland, two in Berkley, one in San Francisco, and one in San Rafael. 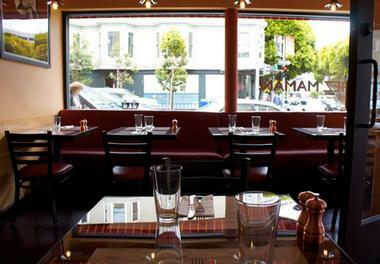 Chez Maman is a neighborhood restaurant with a French bistro-style ambiance and a menu to match. 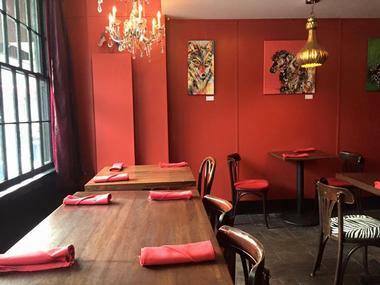 Inspired by authentic home cooking, Chez Maman serves a menu of French basics such as French onion soup, escargot de bourgogne, baked camembert, and beef tartare. Entrées include a variety of French-inspired plates for dinner, while lighter fare is served at lunch, including burgers, salads, and soup. Chez Maman's burgers are offered with a beef, chicken, fish, or vegetarian patty on a crispy ciabatta roll and topped with tomato, caramelized onions, and aioli as well as toppings of choice such as goat cheese, avocado, bacon, egg, mushrooms, Brie, cheddar, or Roquefort. 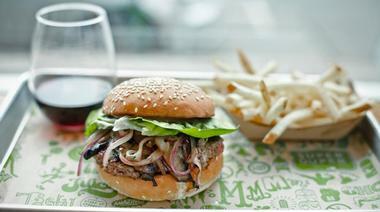 Burgers are served with golden french fries or salad and accompanied by easy-drinking French wine. 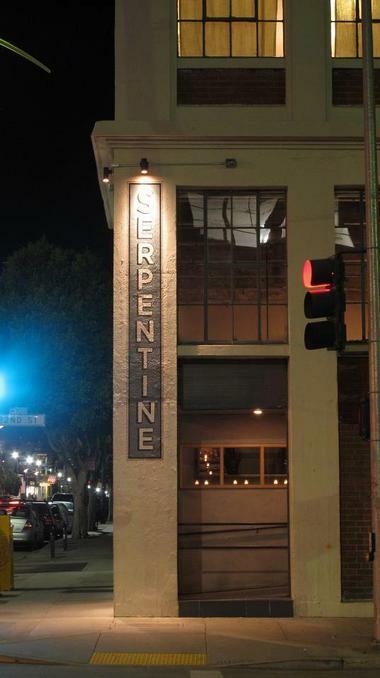 Serpentine is an open-plan, industrial-chic restaurant that serves locally sourced New American fare and handcrafted cocktails in a stylish, laid-back atmosphere. Partnering with quality purveyors from the community, the menu features dishes made with locally sourced, high-quality ingredients, meats and produce from local artisans, farms, and ranches. 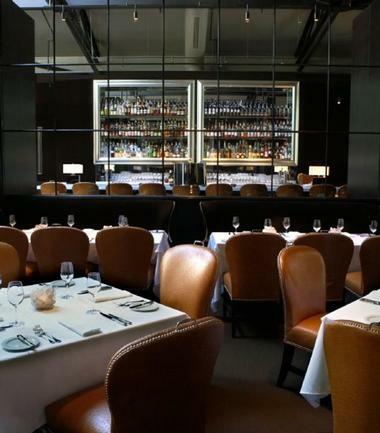 Serving lunch, dinner, and weekend brunch, Serpentine's creative menu includes starters of fresh Marin Miyagi oysters on the half shell and pan-fried country livers, while signature entrées range from seared yellowfin tuna and chili-modelo braised short ribs to hearty burgers. Freshly prepared salads and sides are added as an extra, and the bar features careful selections of beverages by the bottle and glass sourced from small batch distilleries, craft brewers, and boutique wineries. Spruce is a distinctive space in Presidio Heights with a rotating art scene that serves seasonal, contemporary American fare along with handcrafted cocktails. Reflecting the charm of its surrounding neighborhood and providing residents with an inviting place in which to dine, socialize, and relax, Spruce serves an innovative menu of California-inspired cuisine prepared with high-quality ingredients sourced from the 5-acre SMIP Ranch located in the hills above Woodside. Spruce features private dining rooms and a casual café that serves a selection of seasonal salads, paninis, artisan coffees, and fresh-baked giant cookies. The bar and lounge area offers a casual yet sophisticated place to savor handcrafted cocktails, small plates from the bar menu, or a full meal for lunch, brunch, or dinner. 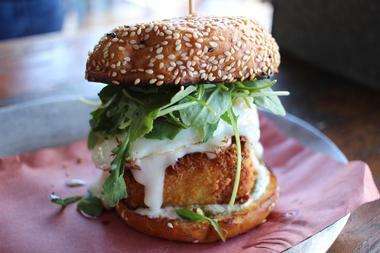 Super Duper Burger is a sustainable burger joint with an unwavering commitment to quality. More than just a regular burger joint, Super Duper Burger serves hearty burgers, golden fries, and thick milkshakes made with the finest, locally sourced ingredients. Burgers are made with humanely raised, 100% vegetarian-fed beef sourced from family-owned ranches, which is ground fresh daily and made into thick, delicious patties. These are stacked onto artisan-baked buns and topped with great house-made pickles, fresh salad, and other delicious toppings and served with golden fries and thick creamy shakes. Super Duper Burger also serves a hearty breakfast of sandwiches and house-made donuts with freshly squeezed orange juice and artisan coffee. 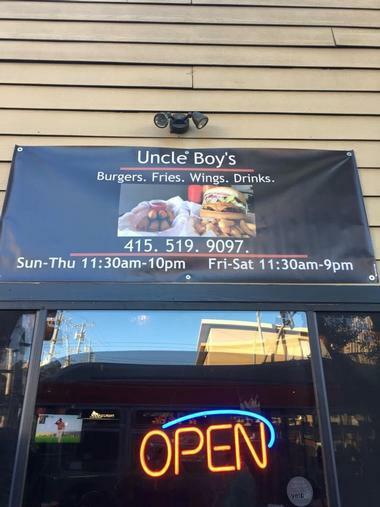 Located in Inner Richmond, Uncle Boy's is a family-friendly dining establishment that offers a new take on regular fast food. This basic counter-service burger joint serves delicious hamburgers with delicious toppings, including melted American, cheddar or jack cheese, bacon and onions, and jalapeños, along with straight-cut french fries. The signature Mama Mia is smothered in a marinara sauce and topped with mozzarella sticks. Other crispy delights on the menu include exotic fried zucchini chips, crunchy chicken strips, deep fried jalapeño poppers, and deep-fried chicken wings, while healthier options like garden salads, chicken sandwiches, and grilled chicken breast are also available. Hailed as the "home of the hamburger," Bill's Place is a retro diner that was established in 1959 and serves a menu of specialty gourmet burgers named after local celebrities. Still retaining much of its '50s-era charm with a soda fountain counter lined with spinning stools, an outside patio seating area in a Japanese garden, and a riot of red-white-and-blue decoration, Bill's Place has a relaxed, informal ambiance that has been attracting loyal customers for over 40 years. Burgers are made with the freshest quality beef and served with a variety of toppings on a fresh bun and hand-cut french fries. Excellent milkshakes accompany the burgers to make the perfect meal. 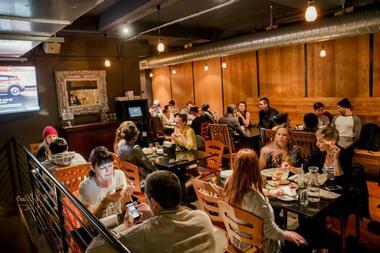 Bistro SF Grill is a friendly neighborhood gastro pub and wine bar that serves gourmet burgers along with vegetarian, vegan and fish dishes, decadent desserts, and local San Francisco brews on tap and an international selection of wines. Custom burgers include the Bistro Burger with a grass-fed Idaho Kobe beef patty topped with cheddar and pepper jack cheeses, crispy bacon, caramelized onions, and roasted red bell peppers, and the Alligator Burger with a Louisiana-farmed alligator patty with sautéed mushrooms and lemon aioli. The Bosnian Burger features Mendocino lamb, goat cheese, caramelized onions, and roasted bell peppers served on fresh pita bread. Bullshead Restaurant is a no-frills American burger joint that specializes in buffalo-meat steaks and hamburgers as well as other gourmet options. Established in 1979, this West Portal spot specializes in bison steaks and burgers, which can be viewed in a glass meat display, and fresh salads from a salad bar no less! Boasting a casual atmosphere with cozy booths and tables and windows looking out onto the street, Bullshead Restaurant has a loyal following of neighborhood regulars that return time and again for the hearty burgers, golden fries, and fresh salads. The Burger Bar has an innovative menu that demands every burger is tried and tested, using high-quality ingredients that leave one feeling satisfied without the guilt; but it's the Hangover Burger that takes the cake. This Certified Angus® beef burger is served on a toasted sesame bun with crispy chopped lettuce and a magical "hangover sauce" that makes you want another one. Other burgers on the menu include the American Classic, the Hubert Keller (named after the founder and chef of the restaurant), and the World's Hottest Burger, which is definitely not for the faint-hearted. 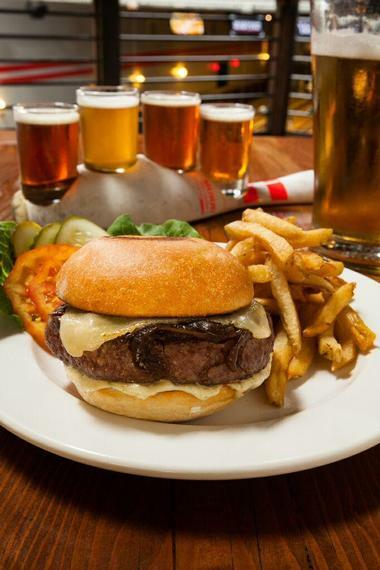 Pair delicious burgers with an array of beverages, including local brews and fine wines. 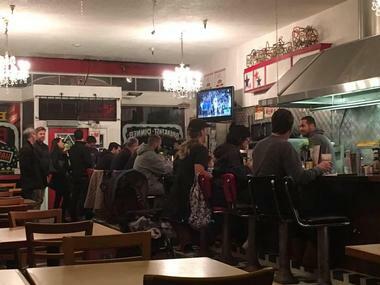 BUZZ is a hard-to-find burger spot tucked away on Geary Boulevard, but definitely worth the search. 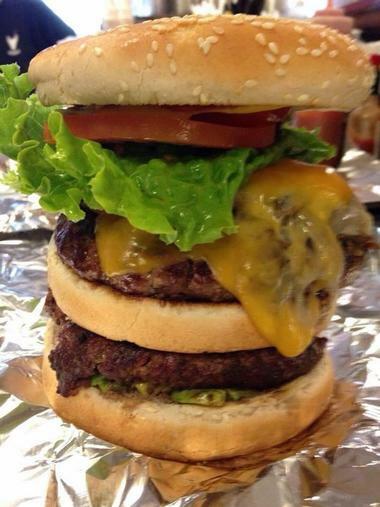 Open for lunch and dinner, this casual burger joint serves a menu of traditional burgers with a variety of bun, patty, topping, and cheese options, including signature bites like The Northern with grilled onions and grilled mushrooms and additional bacon if needed. 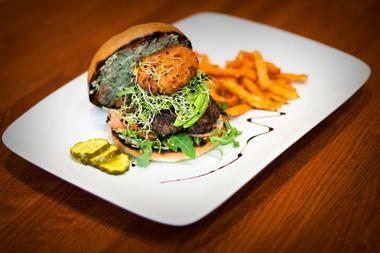 Burgers are served with crispy french fries, salads, and other sides, along with a variety of beverages. Dijon Burger is a cornerstone of the San Francisco community that offers outstanding American cuisine renowned for its modern interpretation of classic dishes that are made with high-quality fresh ingredients. The innovative menu features a variety of appetizers, including jalapeño poppers, fried shrimp, and buffalo chicken wings as well as soups, salads, and small plates. 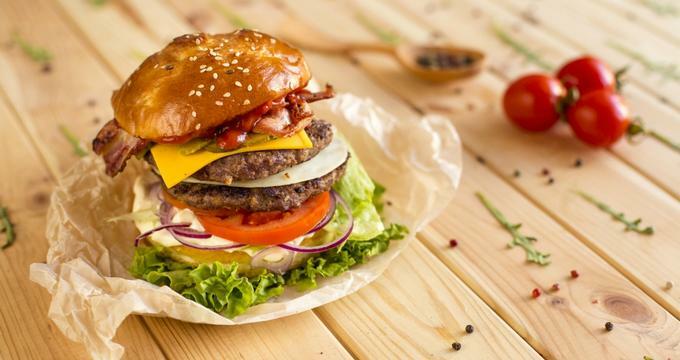 A range of gourmet burgers includes beef, turkey, fish, chicken, and vegetarian options with a selection of toppings such as caramelized onions, mushrooms, bacon, and cheese. 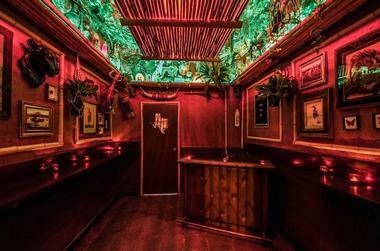 Other items on the extensive menu include hot dogs, sandwiches, paninis, wraps, and pasta dishes as well as decadent desserts, milkshakes, and fruit cocktails. 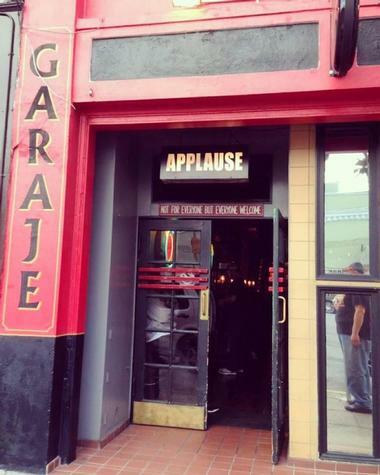 Garaje is a cheeky South of Market spot that combines the sports bar Taqueria and a burger joint all in one, offering some of the best culinary bargains in San Francisco. Boasting a menu of fare that pairs perfectly with beer, including street-style tacos made with tortillas from La Palma Mexicatessen and stuffed with refried beans and steak, burritos packed with meat, cheese, refried beans and avocado, and hearty burgers. Signature burgers include the Drive-in Burger, with American cheese and Thousand Island dressing, and Crazy Dave's Double with two thick patties on an Acme bun. The Cal-Mex food is paired with a selection of brews representing the city's microbreweries. WesBurger n' More is a unique eating concept run by local burger brawl champ Wes Rowe, who creates delicious burgers with a variety of toppings. 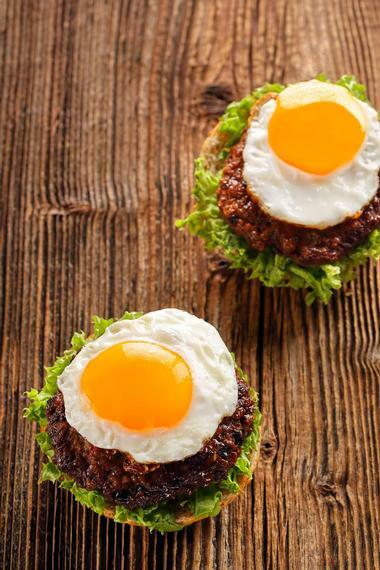 Every week sees a different take on the classic burger, with one constant – the signature all-brisket hamburger patty that is coarsely ground and cooked on a cast-iron skillet until it has a crispy, seasoned crust with a juicy, rare middle. Burgers include the Hot Wes with onion rings, queso, and pickled jalapeños, the Okie Burger with mustard, pickles, and American cheese, and the All-American with lettuce, tomato, onion, special sauce, and American cheese. 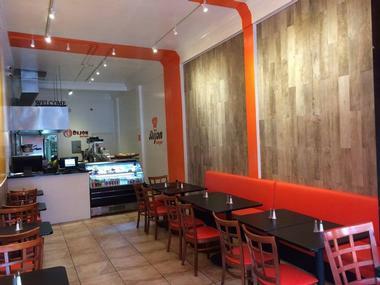 Ziggy's Burgers is a casual, counter-serve burger joint that serves traditional and gourmet halal burgers, freshly prepared salads, sandwiches, and hearty breakfasts in a laid-back, relaxed setting.